Emerson 4-Speed remote control is suitable for controlling 250-Watt incandescent bulb and 1-Amp fan. 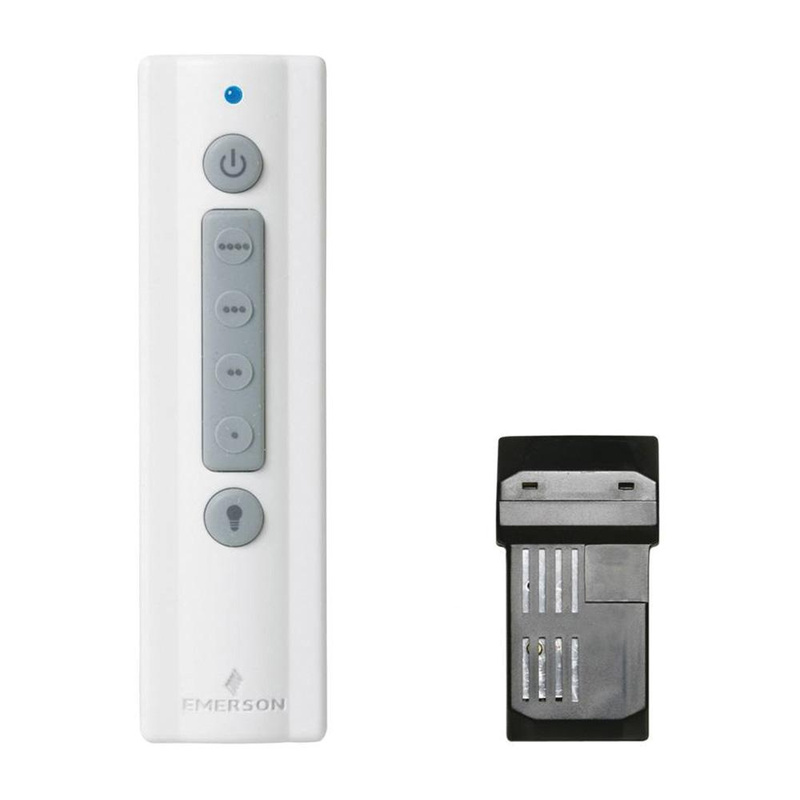 This non-reversing remote control with receiver, operates up to 30 ft. It comes with two AAA batteries.